Author note: This is an excellent soup for leftover chicken. It would also be excellent without the chicken . 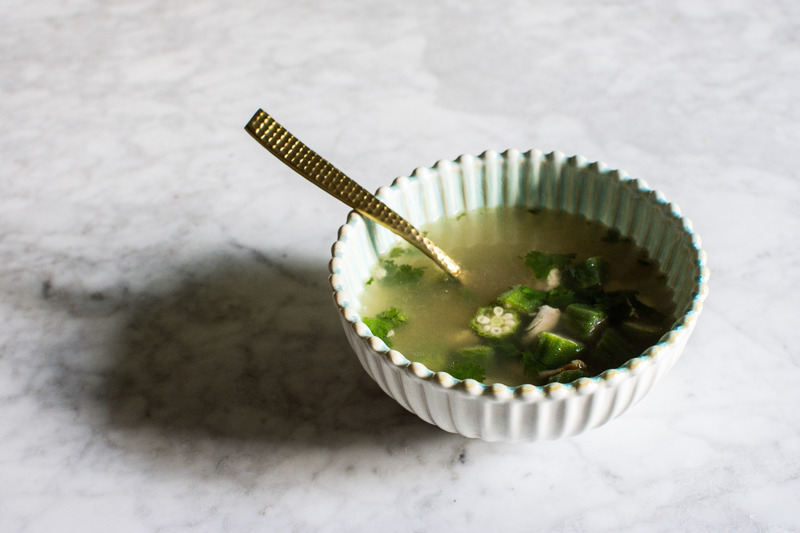 Homemade chicken stock makes this soup exceptionally better (click here for recipe). Bring the chicken stock to a boil and reduce to a simmer. Add the okra and salt. Simmer until the okra is softened. About 5 to 10 minutes. Add the chicken and warm through for about 3 to 4 minutes. Remove the pan from the heat and add lime juice and a few handfuls of cilantro. Salt to taste. Serve immediately. This entry was tagged dallas food blog, dallas food blogger, leftover chicken recipes, okra, okra cilantro lime chicken soup, okra soup, summer soup, texas food blog, what to make with okra. Bookmark the permalink.